How should corporate leaders act in a time of rising uncertainty? 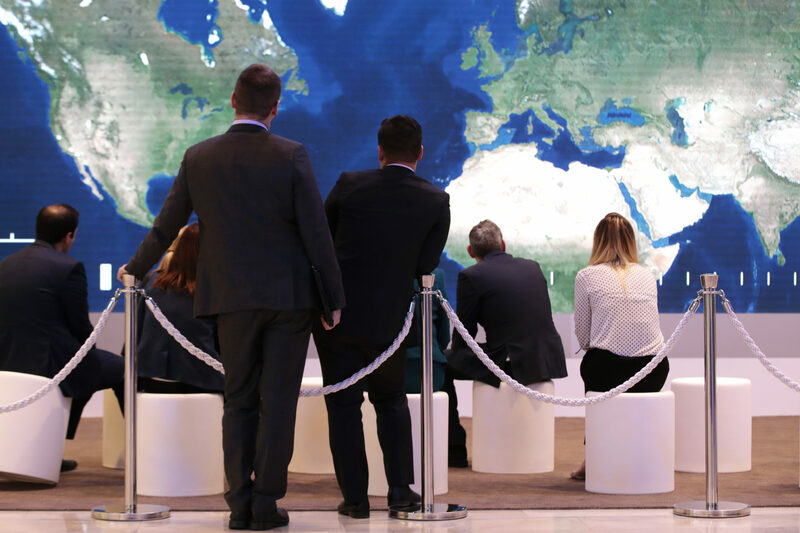 A range of leading German company bosses, from insurer Allianz to chemicals firm Bayer, offer their view on navigating today’s volatile geopolitics. What does executive leadership look like today? A quick Amazon search brings up 19,000 books on the subject. Most are management books, offering the keys to success and ways to avoid pitfalls. But can business-book wisdom do justice to an increasingly complicated world? “Leading a company is definitely a lot more difficult now, thanks to rising volatility and insecurity,” Michael Ensser, Managing Partner of Egon Zehnder, Germany’s top executive headhunter, told Handelsblatt. “Realistically, five-year plans mean little these days,” he added. Mr. Ensser deals on a daily basis with many of Germany’s current and future top managers. Few people have a better sense of what concerns executives right now. Their top worry is clear, he said: populism comes up in almost every conversation he has. “A lot of managers didn’t see Brexit or Trump coming. They are apprehensive about what’s coming next,” he said. They may be right to be worried: this weekend, Mr. Trump launched yet another broadside, this time aimed directly at BMW and other German car manufacturers. Speaking in media interviews, he threatened to impose tariffs on foreign-made cars sold in the United States. Mr. Trump is among concerns named in the 20th annual global chief executive survey, carried out by consultants PwC, published Monday at the World Economic Forum in Davos. Other worries include ongoing political crises, overregulation, protectionism, and the future of the euro zone. For the report, PwC surveyed 1,379 chief executives in 79 countries. More than half the interviewees said they were concerned about the upswing in protectionist policies, rising to two thirds of German executives, reflecting the country’s strong dependence on exports. Oliver Bäte, chief executive of insurance giant Allianz, told Handelsblatt that “unknown unknowns” were the biggest challenge in leading a major international company: “events we could not have imagined ahead of time,” and developments with unforeseeable effects. For Joe Kaeser, chief of engineering giant Siemens, five factors “are greatly increasing volatility and reducing our capacity to predict and plan”: populism, migration, climate change, the fourth industrial revolution, and growing short-term opportunism. Mr. Baumann knows what he is talking about. He has had to repeatedly defend his planned acquisition of Monsanto, the American agro-biotech firm. At €59 billion, around $63 billion, it is among the largest takeovers in history. “Responsive and responsible leadership” is the theme of this year’s Davos gathering. As well as unexpected world events, many observers suggest recent corporate scandals — including Volkswagen’s ongoing Dieselgate crisis — have damaged the image of leadership. More generally, trust in political, media and business elites seems shakier than in decades. Technological trends also shake markets and pile pressure on executives. For Peter Terium, chief executive of energy generation firm Innogy, digitization is the major force for change. “These days, the new players in the energy market are Google and Apple,” he said. “A start-up in a garage in Berlin could be developing the killer app for the future of energy.” Last year, Mr. Terium spun Innogy off from older power giant RWE, taking with it the more modern parts of the business: renewable energy, retail and networks. All agreed that the modern manager must incorporate many viewpoints into decision-making. Mr. Kaeser put the idea in a nutshell: “Nobody is perfect, but a team can be.” Bill McDermott, head of global software firm SAP, also emphasized using collective wisdom as a resource. “You just have to ask people how they would approach problems. You always get a good answer,” he said. Some executives saw this search for innovation in an idealistic light. Mr. McDermott, of SAP, said: “We cannot allow ourselves to be measured by what we take from the world, but what we give to it.” Great business leaders were characterized by convincing visions as well as successful strategies, he added. But forgiveness and open dialogue are still not the norm in most companies. “In reality, what often still counts is avoiding mistakes and making sure you don’t carry the can,” said Mr. Ensser. Volkswagen is one recent example. The leadership culture of Europe’s largest automaker was widely seen as surviving from an older management era. Fear was the key emotion among managers. Executives gave orders and ruled the roost. Only the Dieselgate scandal is beginning to change things. Heinrich Hiesinger, head of steel company Thyssen-Krupp, long plagued by corruption and mismanagement, openly admitted: “Our old leadership culture was often marked by old-boy networks and blind loyalty.” Mistakes were sometimes covered up rather than corrected, he added. This makes the chief executive all the more important, as an example and a role model, said Mr. Ensser. “Top managers have to take the initiative, act more democratically and less hierarchically,” he said. But he dismissed calls for new laws and regulations on managers. “Honesty and decency can’t be decreed by the state,” he said. At the end of the day, agreed the executives, leadership is also subjective. Each one emphasized something different. For Allianz’s Mr. Bäte, key aspects were “integrity, sincerity, and a personality combining perspective, emotional maturity and enthusiasm.” For SAP’s Mr. McDermott, what was needed was “the right mixture of humility and hunger.” And, he added, everyone had always to keep the real boss in mind: the customer.